File photo: Scott Peterson listens to prosecutor Joseph Distaso respond to defense attorney Mark Geragos' petition for dismissing double murder charges against Peterson January 14, 2004 in Modesto, California. Judge Marie Sovey Silveira denied the petition. Peterson is charged with killing his wife, Laci, and unborn son, Connor, early Christmas Eve morning in 2002. Scott Peterson has revealed his thoughts after being convicted in 2004 for murdering his wife Laci Peterson and their unborn son. The Modesto couple had been married for five years, but on Christmas Eve 2002, Laci Peterson, eight months pregnant, vanished. Her body was recovered in San Francisco Bay in April 2003. The trial went on for almost a year with national media covering each step. 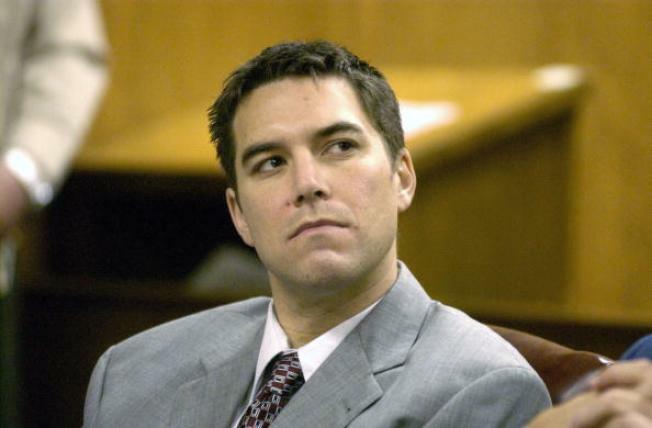 While there was no concrete knowledge surrounding the time or cause of Laci Peterson's death, evidence led the jury to convict Scott Peterson of the killings. During the final verdict, death penalty lawyer Cliff Gardner said that more than 1,000 people were outside the courthouse waiting for a guilty verdict. Gardner claims that the trial was unfair because of the mass publicity surrounding it. A&E will air their new series “The Murder of Laci Peterson” Aug. 15.